For example, if a cafe with multiple locations in the San Francisco Bay Area decides to run local awareness ads, they could choose to automatically populate the city name in their ad copy, depending on where the people seeing the ad are. So, people in Menlo Park would see “Join us for lunch in Menlo Park,” while people in San Francisco would see “Join us for lunch in San Francisco.” Call-to-action buttons are also dynamic, so when someone clicks on the “Call Now” or “Get Directions” button, they’re connected to the store currently closest to them. This helps advertisers spend more efficiently, since they’re only connecting with people likely to visit the store and the information they share is hyper-local and relevant”. 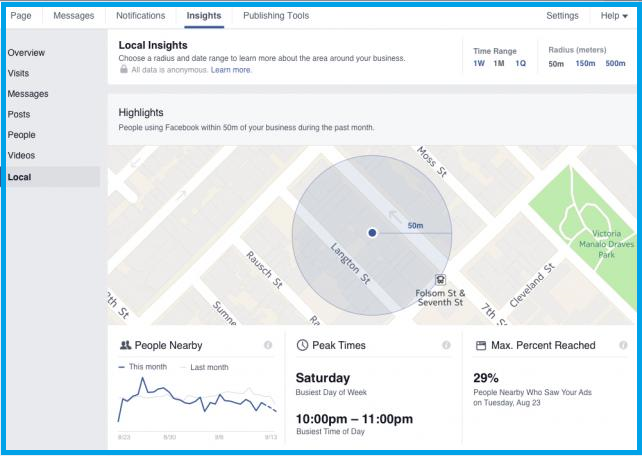 Facebook’s campaign objectives such as Offer Claims and Lead Generation have increased the ability for Brands and Retailers to zone in and target audiences with Location-based marketing initiatives. 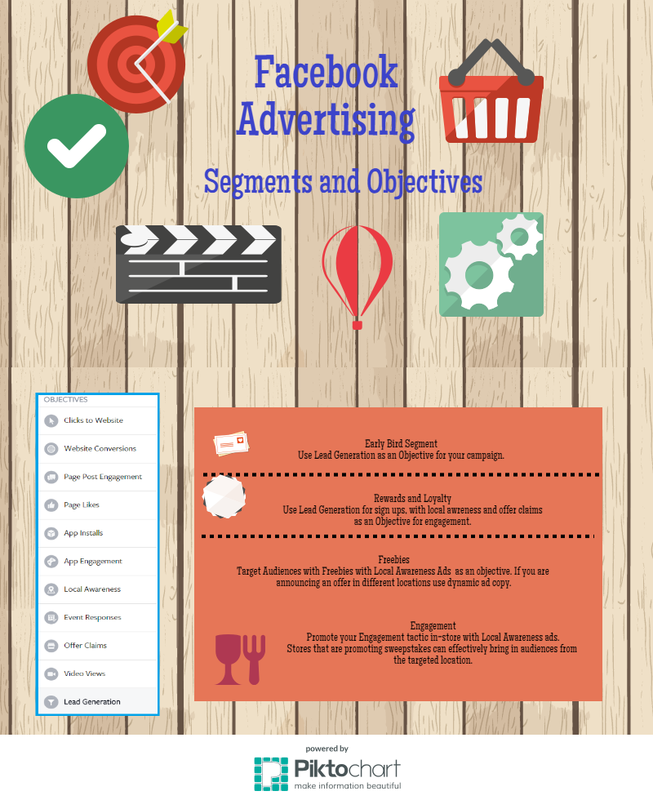 To define the Facebook Ad Campaign objective, begin with segmenting your audiences based on the stage of customer journey, Frequency of purchase, customer value and Loyalty. For each program and segment their can be more than one Ad objective. For example you can use lead generation for Rewards program sign ups as well as promoting gift guides to your existing rewards program members with a simple CTA of “Know more”. 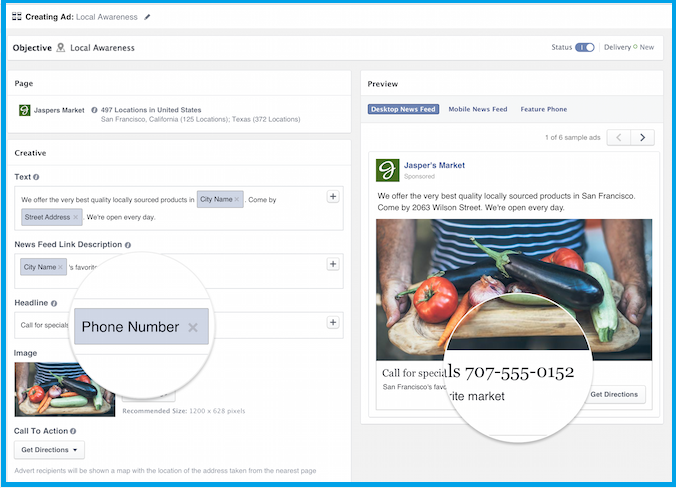 Brand Marketers and Retailers can now create Offers that are customized for a location depending on the segments that are being targeted and the offers that are likely to work for the segment. Marketers need to look at conversion lift from their campaigns for each stage of customer journey from the creative approach to arrive at the right sequencing strategy for the creative. 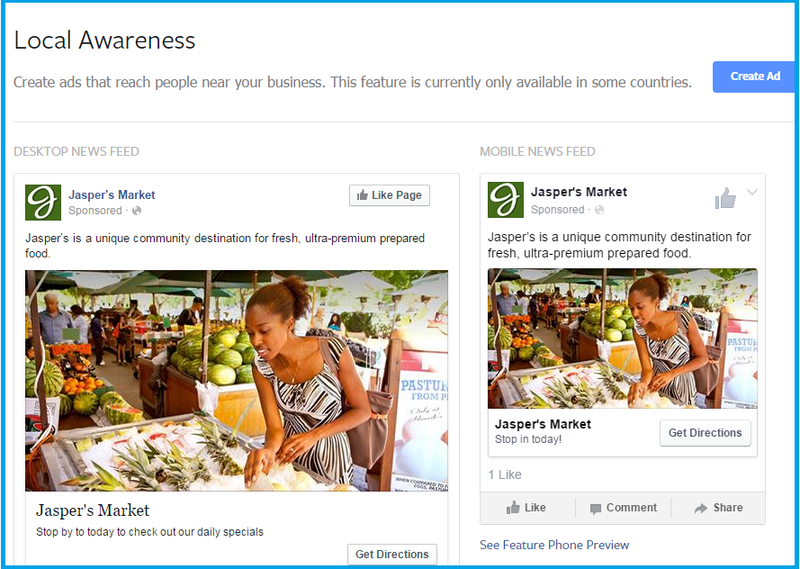 If Offers are best received at a certain stage then Local Awareness Ads can be used to target audiences at a location, i.e. at home or near the store. A local awareness ad for a Retail brand may work at home for categories that are planned purchases where as an Impulse purchase for a Coffee may work closer to a store location. For example, Brands that would like to increase sign-ups or downloads can further improve audience targeting, by looking at location insights and building the same in campaign objective. 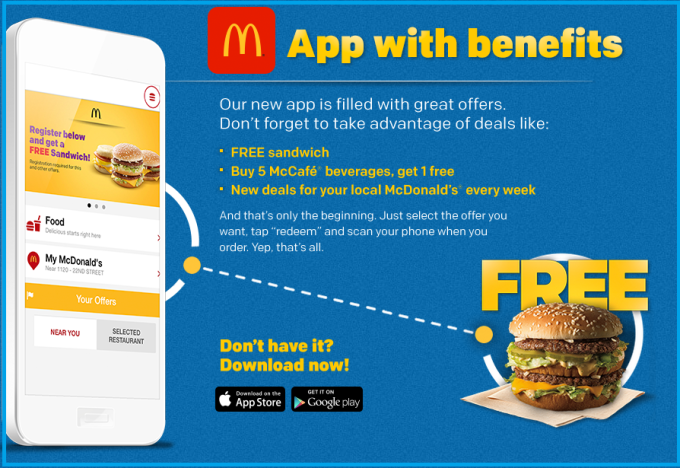 If the app downloads for your app with a linked offer are higher when audiences are near the store, then campaign objectives and ad copy creative can be accordingly adapted to increase conversions. 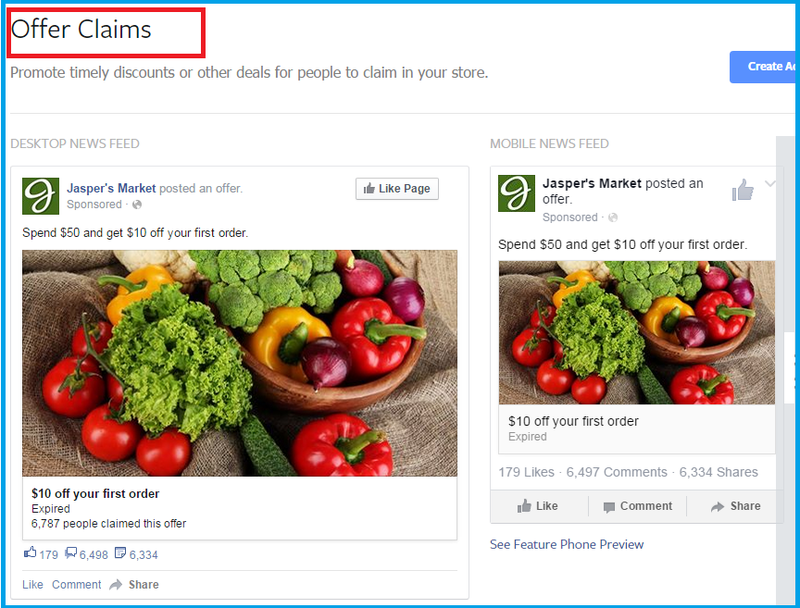 Response driven advertising has a new meaning with Offer Claims as the offers can now be based to target different audience segments. This would mean customizing offers depending on demographic and interests and location. If music and video streaming offers work better with your core target audience, then setting a campaign for offer claims objective with interest can create a meaningful value proposition for your target audience. Accordingly the offers can vary for different segments during Holiday Season such as Early bird shoppers, Prime Season Shoppers and Last-Minute Shoppers. Creative and Content that works best for your Campaign and business objective for different audience segments, could mean a new value proposition for your target audience. With Local Awareness, Content and context can be further used to target audiences at scale depending on customer value, frequency of purchase and stage of customer journey. Further to creating a more relevant value proposition, Facebook campaign objective can help brands target segments such as early bird shoppers and prime season shoppers with different ad creative and optimize the same for different objectives such as Offer claims and Local Awareness. Updating the buyer journey and engagement strategy for each segment can help brands and advertisers determine the objectives that are likely to bring in more conversions.